We evolved in the forest roof to collect fruit and berries. True, after millions of years of evolution, we’ve developed ICBM’s and guns, and even flung a piece of metal outside the solar system. But despite supercolliders containing enough titanium wire to circle the earth sixteen times, we’ve no more of an understanding of the universe than the first thinkers of civilization. Where did it all come from? Why does the universe exist? Why are we here? Our ancestors were challenged to believe the earth was round even though the horizon looked flat. Nothing in ordinary experience hinted at it: “If the earth were really round,” it was argued, “then the people at the bottom would fall off.” The notion of the earth as a ball of rock was nonsense 500 years ago. Years later, people accepted it as spherical, but saying it spun around the sun was more than they could fathom. No one could feel the earth moving. Indeed, if we were really whirling through space at 67000 mph then the hair would blow off our head. This slideshow points out eight more scientific myths from the viewpoint of biocentrism. Switching our perspective from physics to biology provides answers to some of the biggest questions we have about the world, including life and death, time and space, and God and the universe. We’ve been taught we’re just a collection of cells and die when our bodies wear out. But our belief in death is based on the premise we play little or no role in reality. However, experiments show the opposite: the observer critically influences the outcome. You can’t see things through the bone surrounding your brain. Everything is a whirl of information occurring in your mind. 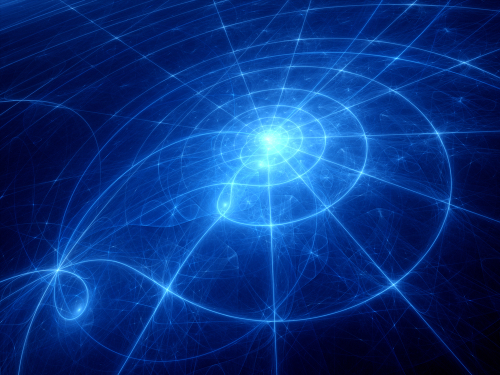 According to biocentrism, space and time are the mind’s tools for putting it all together. Death doesn’t exist in a timeless, spaceless world. Moreover, energy can’t be created or destroyed. Although bodies self-destruct, the ‘me’ feeling is just a fountain of energy in your head. But this energy doesn’t go away at death. It has no reality independent of you. Each person creates their own sphere of reality. Another well-known aspect of science is that observations can’t be predicted absolutely. Instead, there’s a range of possible observations each with a different probability. One mainstream explanation is the ‘many-worlds’ interpretation, which states each of these possible observations corresponds to a different universe (the ‘multiverse’). Everything that can happen occurs in some universe. Death doesn’t exist in any real sense in these scenarios. All possible universes exist simultaneously regardless of what happens in any of them. Every thinking person knows an insuperable mystery lies at the final square of the game board. When we run out of explanations and causes that precede the previous cause, we say “God did it.” In all directions, the current scientific paradigm leads to insoluble enigmas, to ideas that are ultimately irrational. But our worldview will soon catch up with the facts, and the old physico-chemical paradigm replaced with a new biologically-based one that can address some of the core questions asked in every religion. Ideally, our concept of God should adapt to this evolving scientific knowledge. At some point we’ll completely master our understanding of spatio-temporal reality. In fact, biocentrism suggests we may be able to recreate information systems to generate any consciousness-based physical reality fathomable. We may have the power to go back in time, to make a blind person see, or a crippled person walk. Science, like religion, must work with simple concepts the human mind can comprehend. But if biocentrism is right, nature has much bigger plans for us than just this or that life – plans far beyond anything organized religions have ever projected to any God. If determinism is right, every human thought, feeling and action is the automatic and mechanical resultant of pre-existent forces. Indeed, most scientists believe the universe is a great machine set in motion at the beginning of time, and whose wheels and cogs turn according to laws independent of us. “Everything is determined,” said Einstein “the beginning as well as the end, by forces over which we have no control. It is determined for the insect as well as for the star. Human beings, vegetables, or cosmic dust, we all dance to a mysterious tune, intoned in the distance by an invisible piper.” Even assuming an indeterministic interpretation of quantum mechanics is correct, many scientists still object that such indeterminism is for all practical purposes confined to microscopic phenomena and doesn’t allow for the traditional idea of free will. And if action is taken due to quantum randomness, this in itself would mean that traditional free will is absent, since such action can’t be controlled by a physical being claiming to possess free will. However, in biocentrism, you’re the agent that collapses events, not the other way around as we’ve been taught. You determine the path you take, not outside forces. Evolution does an amazing job of explaining what happened in the past. But it fails to capture the driving force. Indeed, Nobel physicist Niels Bohr said, “When we measure something we are forcing an undetermined, undefined world to assume an experimental value. We’re not ‘measuring’ the world, we’re creating it.” Attempts to explain the origin of the universe require an understanding of how the observer – us – play a role. There are over 200 physical parameters in the universe that could have any value but happen to be exactly right for us to be here. Tweak any of them and you never existed. Our special luck continues in the present time: All hominid species went extinct except us, asteroids could strike Earth at any time, nearby stars could go supernova, and supervolcanos could shroud the Earth in dust. These are just a few (out of billions) of things that could go wrong. According to biocentrism, it’s us, the observer, who create space and time (which is the reason you have to exist despite these odds). We collapse the present. Until the present is determined, how can there be a past? The observer is the vital force that collapses the cascade of past spatio-temporal events we call evolution. Science asks us to believe the entire universe just popped into existence one day out of nothing. 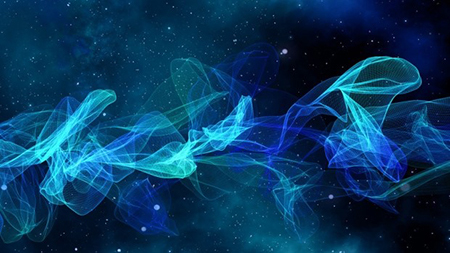 Physics is a kind of magic – 14 billion years ago over a trillion quadrillion tons of matter suddenly appeared from – zilch? Space and time – indeed the laws of nature – magically appeared as well. It’d be well to remember the experiments of Redi and Pasteur – who put to rest the theory of spontaneous generation, the belief that life arose from dead matter (i.e. maggots from rotting meat, mice from bundles of old clothes) – and not make the same mistake for the origin of the universe itself. Science has sought to extend space and time beyond our own emergence. It has followed our footsteps backwards through the lower forms of matter to the Big Bang. But experiments show before particles of matter can exist with properties they have to be observed. Something must sustain them above the void of nonexistence. That something is the human (or animal) mind. Strikingly, “Nothing” said John Wheeler, the great physicist “exists until it is observed.” We’re living through a shift in worldview, from the belief life is an insignificant part of the physical universe (and sprung into existence from the Big Bang or bundles of old clothes), to one in which we – not the Big Bang – are the origin. We’ve been taught space is an object. It exists. It’s real. And that reality has been reinforced everyday of your life – every time you go from here to there, every time you reach for something. Examining space is as unnatural as scrutinizing breathing. In fact, the question of whether space exists seems silly. “Obviously space exists,” we might answer, “because we live in it. We move through it, we build in it. Miles, kilometers, cubic feet – all are units we use to measure it.” We regard space as a vast container without walls. But this is false. Consider: 1. Empty space is in fact not empty. 2. Distances between objects change depending on conditions like gravity and speed, so no bedrock distance exists anywhere, and 3) Quantum theory casts serious doubt about whether even distant individual items are truly separated at all, since entangled particles act in unison even if separated by the width of a galaxy. In truth, there’s no external matrix in which physical events occur independently of life. According to biocentrism, space is simply the mind’s tool for molding information into a multidimensional image. We’re taught the world can be divided into two entities – ourselves, and that which is outside of us. This seems logical. ‘Self’ is commonly defined by what we can control. You can wiggle your toes but can’t move the legs of the table. The dichotomy is based on manipulation, even if biology tells us we’ve no more control over most of the cells in our body than over a rock. The dividing line between self and nonself is taken to be the skin. This is reinforced every day of your life – every time you fill out a form: I am __ (your name here). But consider everything around you right now – this photo, for instance. Custom says it lies outside us in the external world. Yet everything you see and experience, including the trees and sky, are part of an active process occurring in your mind. You are this process, not just that tiny part you control. You’re not an object – you are your consciousness. You’re a unified being, not just your wriggling arm or foot, but part of a larger equation that includes everything you perceive. If you divorce one side from the other you cease to exist. That’s why in real experiments, matter, space and time depend on the observer. 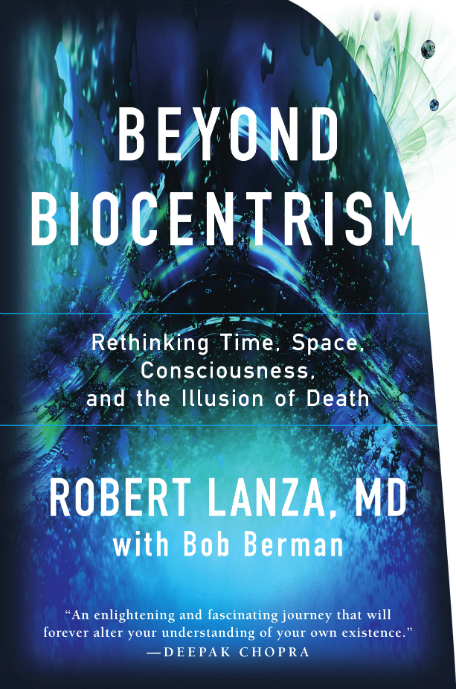 Biocentrism tells us your consciousness isn’t just part of the equation – the equation is you.